Profiles Theatre is currently presenting its ninth play by the savagely insightful American playwright and screenwriter Neil LaBute, 49, who knows a thing or two about the instinctive forces that cause people to act against their own best interests. LaBute’s an international name these days, perhaps best generally known as the director of the film “Nurse Betty” starring Renée Zellweger and as creator of the play and film “The Shape of Things” starring Paul Rudd. 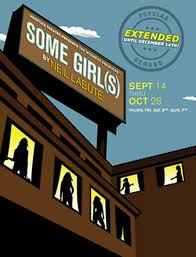 LaBute’s first Broadway play, “reasons to be pretty,” was nominated for a Tony in 2009. His latest play, “In a Forest, Dark and Deep,” opened on London’s West End starring TV’s “Lost” protagonist Matthew Fox. But LaBute’s connection with vest-pocket Profiles is, if anything, strengthening. This month, LaBute joined Profiles as a resident artist. 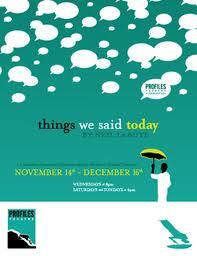 His recent off-Broadway play “The Break of Noon” is being re-worked for production at Profiles in April 2013. And “In a Forest, Dark and Deep” is now receiving its American premiere in Profile’s newly expanded theatrical complex on North Broadway, in the assured directorial hands of Joe Jahraus, founder and director of the 23-year-old company. The play’s a two-hand thriller that features co-artistic director Darrell W. Cox — who’s been involved in all previous LaBute productions at Profiles — as Bobby. Guest artist Natasha Lowe, who recently played Blanche DuBois in “A Streetcar Named Desire” at Writers’ Theatre, is Bobby’s sister, Betty. Sis has called Bobby in at half past nine on a stormy night to help her quickly pack up a renter’s things at a remote cabin in the woods she owns with her husband. Bobby shows up with a six-pack of resentment, drenched, and ready to dredge things up. That last paragraph has a couple of lies in it. But just who’s doing the lying, and what’s at stake on this night, will play out in real time over the next 90 minutes during a violent electrical storm. Lightning has already struck, although it takes us a while to figure that out. What we’re witnessing is the thunderous psychological aftershock, which hits in successive waves. 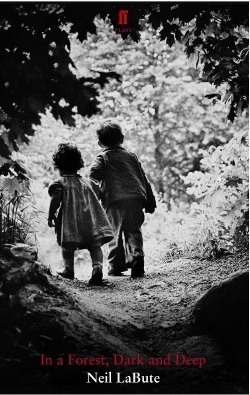 The paperback cover to the published play, put out by Faber and Faber in the U.K., shows a little boy and his slightly smaller sister heading into the woods together. Old, old issues will be a factor. Indeed, the two waste no time getting into their ruts of animosity. She tells him that’s not nice and he responds, “The truth hurts. Haven’t you heard that one before?” But she feigns ignorance to something he swears their Dad had said a thousand times: “The truth hurts, Bobby. Stings like a ….” And the play’s on. Men are typically selfish, cruel and manipulative characters in LaBute’s plays, and they often behave viciously to females. This tendency causes a lot of women to assume LaBute’s a misogynist who habitually creates weak, deserving victims the better to pummel them. In fact, LaBute rarely gives anyone a pass, certainly not Betty, who emerges as a fully human tragic portrait as her brother peels relentlessly, mercilessly, and ultimately mercifully, at each obscuring layer. In fairly short order it is divulged that the cabin has been occupied by a second-year senior boy whom Betty pretends not to know, until Bobby, who has been boxing some books, finds a compromising photo. Only gradually does this mordant comedy surrounding the revelation of a campus affair build into the shrill, harrowing tale of neurosis, dependency and more that’s deep in that other forest, the unconscious. In so doing the play wanders onto the painful psychological trail of siblings who, despite everything, instinctively honor their bond. Cox is as comfortable in Bobby’s head as Bobby is in beer and flannel. He is both a shambling brother and an astute observer who spots his sister’s manipulative devices the instant she deploys them, and thus he is the audience’s agent in this saga. Cox’s Bobby cares grudgingly about Betty and in the end proves it in the most stalwart manner, but he is also jealous of her success in the world, which is a grotesque joke to him considering all the grief and embarrassment she once brought upon the family. Betty has got more than a whiff of Blanche DuBois in her. She fiercely guards her secrets in robes of superiority, the desperation underneath becoming increasingly apparent. Natasha Lowe plays her with measured anxiety as she tries to avoid taking a brother’s bait, her carefully played deception unraveling with each thunderclap and jumpy slip of the tongue. Betty’s tortured monologue about losing her head-turning appeal could seem run of the mill were it not such a damning echo of the family history. Lowe’s delivery is gripping, and the scene’s power owes no small part to the role of Cox as listener, as he begins to grasp the shadowed nature of his sister’s deeply needy campus life. It seems a bit strange to call Profile’s new 99-seat space “huge.” But it feels that way, with a third more seats and a great deal more height than the other, older stage, now called the Alley, next door. There is lots of room to maneuver, but Jahraus keeps the action tight, tense and claustrophobic. Every object Betty’s brother picks up, or hurls, in designer Thad Hallstein’s charmingly rumpled, chotchke-ridden cottage seems booby-trapped. Kudos as well to lighting designer John Kohn III and to soundmaster Jeffrey Levin for delivering surprising blasts of storm-fisted rock ‘n’ roll, thunder and lights-out calamity. Betty, played by Natasha Lowe, has called her brother to a her rental cabin in the forest. 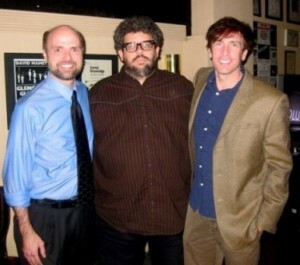 Profiles founder Joe Jahraus joins Neil LaBute and Darrell W. Cox at a Profiles event in 2009. Cover illustration for the printed edition of “In a Forest, Dark and Deep,” which opened on London’s West end in 2011. 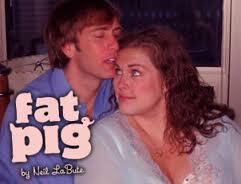 Eight LaBute plays previously performed by Profiles.